This webpage focuses on unlawful discharge settlements and verdicts in the state of Oklahoma. It is very uncommon for great claims to go to trial, because they commonly reach settlement out of trial. The majority of these court cases incorporate mixed settlements, implying they involved a single, or perhaps several claims of unlawful firing as a result of age discrimination, gender discrimination, sexual orientation, gender expression or gender identity discrimination, disability, breach of employment contract, constructive discharge or race, color, national origin, religion discrimination. The table listed below provides a summary of the different types of cases filed together with their specific numbers in the state of OK in 2017. Wendy Gregory worked for Governor Mary Fallin as the director of the governors office in Tulsa. In 2012, the IRS wanted to garnish her salary because of a child support disagreement with her husband’s ex wife. Gregory and her husband filed a joint tax return, and the child custody dispute with the ex-wife caused Gregory’s earnings to be garnished. The IRS withdrew it’s action though. Gregory was fired from her job, claiming that her termination was a result of the governor not wanting any bad publicity due to Gregory’s child support dispute. Federal law prohibits an employer from firing an employee whose earnings are subject to a single garnishment. Oklahoma law supports this. Gregory filed a second lawsuit against the governor, since they did not give her her personal files. Rick Eiland worked at the Oklahoma City facility of Voss, a distributor of commercial lighting products, for 8 years. He was diagnosed with bipolar disease, mental illness, and he required extensive hospitalization to treat his psychiatric disability. He requested addition time off from work as recommended by his doctors, and he was fired. The company taped a letter of employment termination to the front door of his home. He reported the events to the EEOC, who sued the company for violating the Americans with Disabilities Act. The law states that reasonable accommodation must be provided to employees with disabilities. The EEOC contended that extra leave would have been reasonable. The law protects employers from discriminating against not only existing employers, but job applicants as well. In one of the first cases of genetic discrimination, the EEOC sued Fabricut (a distributor of decorative fabrics) for not hiring a qualified applicant because of a perceived disability and asking for family medical history. The EEOC sued the company for violating the Genetic Information Nondiscrimination Act and the ADA. Companies cannot make employment decision based on family medical history, nor on incorrectly perceived disabilities. Shannon Clark was the spokesman for the Tulsa County Sheriff’s Office. He had never been disciplined during his career at the sheriff’s office. He was fired during a controversy involving a fatal police shooting. He alleged that the cause of his termination were “made up”, and he couldn’t have been fired without cause, since he was a protected person. EEOC v Kids R Us, LLC. Shawna Capps started working for the Choctaw location of Kids R Us, an operator of child care facilities in Oklahoma, as assistant facility director in July, 2009. In March, 2010, she informed the owners that she was pregnant. Not much later, she was informed that she was being demoted to part-time cook because “she decided to get pregnant”. Her sister and cousin also worked for the company, and they protested her demotion. She filed a discrimination report with the EEOC. Afterwards, she was transferred to a location far away from her, which forced her to resign. The owner fired the cousin and sister as well. When examining our catalog of unlawful termination settlements from Oklahoma, keep in mind that the larger sums are because of punitive damages, which are rewarded to deter companies from engaging in the same kind of unjust act. Punitive damages are extremely uncommon. A large number of cases settle for between $40,000 to one hundred thousand dollars. This unique list of wrongful termination settlements in OK is intended for informational purposes. Although you may feel similarity to any of these court cases, remember that each and every case is unique. What is the average wrongful termination settlement in Oklahoma? It’s understandable that you want to check approximately how much money you can expect to be given for your wrongful dismissal claim. In the event that you reach settlement (or prevail in court), the amount you receive is always based on these factors: medical costs, lost benefits, reason of termination, the costs of finding a new job, lost earnings and mental anguish. Punitive damages may also be granted in rare cases, if the employer acted egregiously. As you can observe from the sample lawsuits mentioned above, presenting an average settlement for unlawful termination cases in OK is very difficult because each and every claim is different. The average wrongful termination settlement in Oklahoma is between $4,000 and $90,000. Attorneys are beneficial in negotiating a larger settlement. The majority of courtroom awards are bigger, approximately $110,000 and $400,000. This is certainly one of the reasons employers prefer to settle outside of court. If you think you were fired for an illegal cause, here is what you should do. First of all, you’ll need to speak with a wrongful termination law firm in Oklahoma to find out whether you have a claim worth going after. 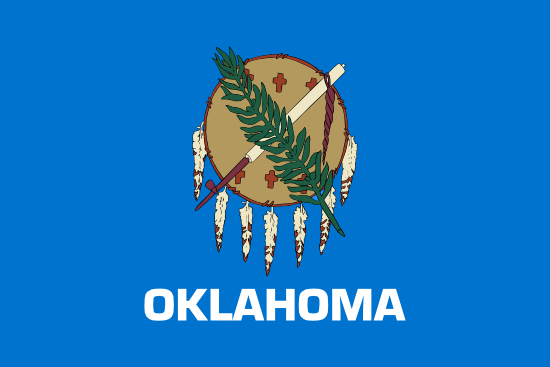 Do not wait, as there are cutoff dates to submitting unlawful dismissal claims in Oklahoma. Additionally, you are going to probably need to submit a timely claim with the EEOC’s Oklahoma City Area Office. Here are several pointers on filing a wrongful termination claim.